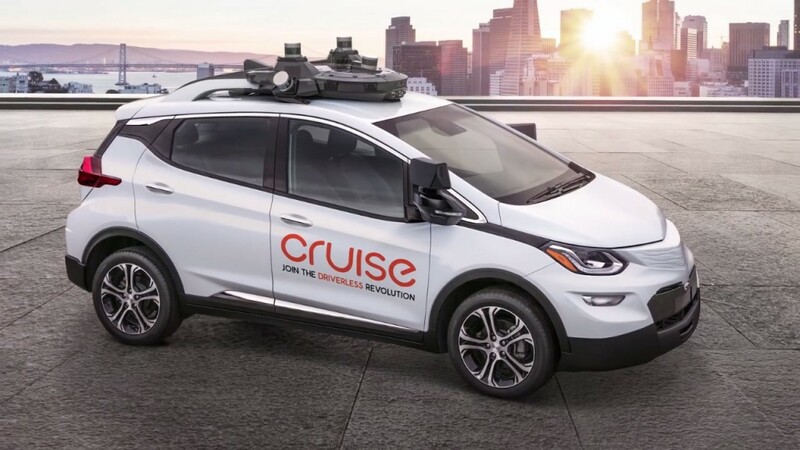 In January 2018, General Motors unveiled Cruise AV, its first production-intent vehicle designed to operate without a driver. It featured no steering wheel, pedals, or other manual controls. That same month, the Detroit automaker submitted a Safety Petition to the United States Department of Transportation for permission to deploy the vehicle on public roads. Finally, the petition is moving to the public comment phase where anyone can chime in on GM’s request, according to The Detroit News. The comment period is open for 60 days. “The Department is actively seeking public comment on proposed exemptions to federal standards and how the public can be protected as new transportation technologies emerge,” said U.S. Secretary of Transportation Elaine L. Chao in a statement announcing the comment period. GM and Cruise Automation, it’s autonomous vehicle subsidiary, want to launch a driverless taxi service sometime this year. While GM wants to deploy its Cruise AV without manual controls, the automaker said it could implement its service with Cruise AV vehicles that still have manual controls. Cruise Automation is key to GM’s future autonomous vehicle development as the automaker restructures its business model to support autonomous and electric vehicle development in the coming years. One key piece to GM’s plan is launching its driverless ride-sharing service that’ll likely begin in San Francisco sometime later this year. GM is quickly expanding its Cruise Automation presence in San Francisco, Seattle, and Pasadena with plans to double its staff by the end of the year. The fact that the US DOT is even considering this shows how little they know about this technology and how clueless they really are. Lets see how they like being navigated into a lake or a cemetery or driven off a bridge or smashed into a barrier and then get back to us. And with no backup manual controls there is nothing whatsoever you can do about it. Isn’t that just great! These will be first used in highly controlled environments. This means you’re not just going to let them go wild anywhere and everywhere. Like SuperCruise the roads need to be mapped first before they can be driven on. Driverless cars is the most ridiculous idea EVER! There are too many things that can go wrong and kill you or someone else. It is a computer on wheels and we all know the results of glitches and hang-ups and hacking! To have a car open to all these potential problems is INSANE! What a waste of money that could be put to better use to improve our lives not endanger them! Picture this: Heavy rush hour traffic on a five-lane freeway in LA, moving at 75 to 80 MPH with an average separation distance of one to two car-lengths. Half of the cars are autonomously driven. Suddenly one or two of the AD cars are hacked by some kid in China, causing the cars to swerve violently. All drivers immediately hit the brakes. The result would be akin to “the big one” on the last laps of any NASCAR race at Daytona . . . on steroids!
. . . and ya think that we’re gonna have autonomously-driven vehicles that are safe? Me tinks not, at least until they can be proven to be one hundred percent reliable and unhackable and that will never happen. If for some reason one of these things doesn’t run, how do you maneuver it around with no controls? I’m all for electric and autonomous vehicles now let’s start building them in lordstown Ohio so my union brother’s & sister’s and myself can get back to work! We are the one’s for the job. Let’s do it …… and let’s do it in lordstown ohio!